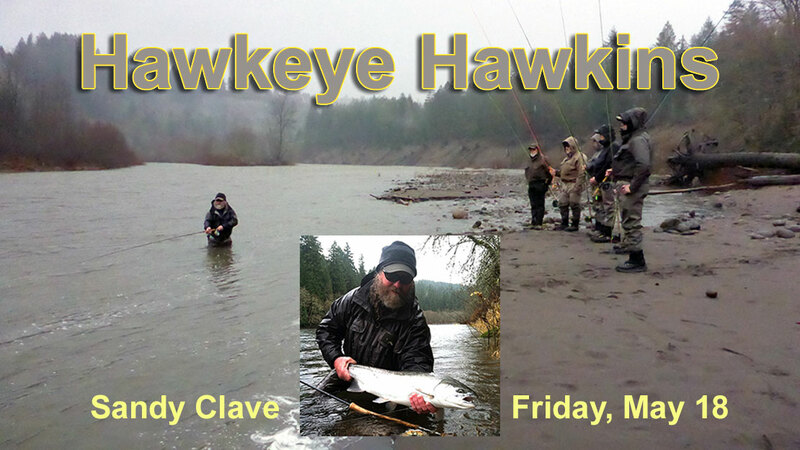 Sandy River Spey Clave 2018: Veteran Casting Instructors! Sign up for the $10 casting class here. 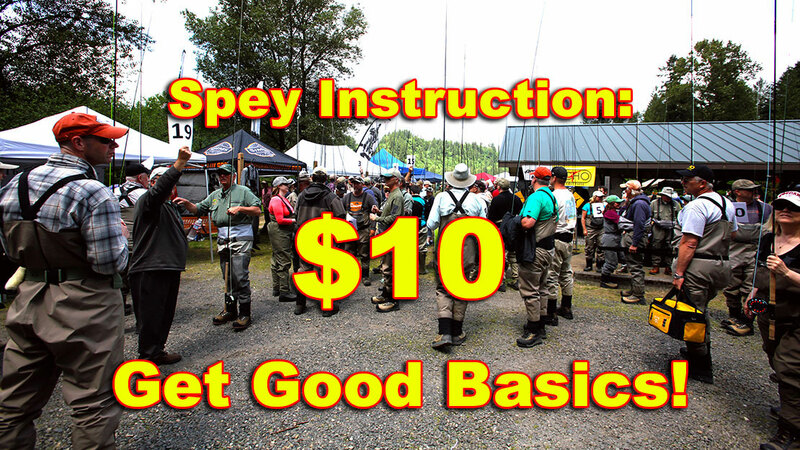 Day One (Friday, May 18) is Beginners Day, which features programs for beginning Spey caster/anglers. All presentations on Friday are designed to give the learning angler a foundation of good basics. Day Two (Saturday, May 19) expands on what Day One has taught you. Any championship class athlete will tell you that the reason that they excelled in their sport was because of a solid understanding of the basic principles involve. Then lots of hard work was applied to perfect the understanding of those basic principles. After 37-years of guiding anglers for steelhead, I have come to the conclusion that the main ingredient that separates anglers who do, from those that don't catch steelhead are casting skills. It was that way when everyone fish single-hand rods and is still the same now that two-handers are more popular. Distance isn't the only way to measure good casters from bad. Casting accuracy plays a part, but too does down time. Anglers who spend a lot of time untangling their line, or dealing with wind knots spend a lot of time with their fly out of the water, and we all know that it is hard to catch fish when the fly is out of the water. Anglers who can reach far have advantages, but anglers who can maintain a steady rhythm of presentations might have even more advantage. Solid basic casting skills burn less energy, and keep the fly in the water more, and make cleaner presentations. Steelhead are hard to catch. You can never know too much. You can never have too good of understanding of basics. You were introduced to the first six female presenters last week. Two of the ladies featured on Beginners Day are multi time World Champion distance Spey casters, yet they are humble enough to teach basics to beginners. Here are the first six male presenters in order of presentations for 2018. The instructors involved represent more than a hundred of year of high level teaching experience. Oregon Fly Fishing Outfitter/Guide and Fly fishing Instructor since 1981. "Wild steelhead and wild steelhead rivers are my obsession. I have been catching steelhead with flies since 1963. There is no substitute for the experience. Nothing teaches more about fishing than catching fish. My goal as a fly fishing guide, and fly fishing instructor is to impart my experience to you, so that you too can be successful as an angler. Hopefully we will become good buddies while we are together." My bio. I'm a low-key guy. The only thing I get excited about is watching someone get a grab—or better yet, hearing the cry "Fish On!" As we come into the take-out, I want you to feel like you've had a great day, and have gotten your value…and I work hard to make that happen. I'm a native Oregonian, born in Klamath Falls, raised in Eugene, and based on Mt. Hood for many years. I've done a lot of different things in my life, but fishing has always been at the center of my being. It started when I was a kid, fishing in some ponds in back of my dad's gas station and it just kept on going from there. Rivers, lakes, ponds, sloughs, creeks, you name it, I would fish it. With spinners, spoons, worms, snakes, grasshoppers, mice, eggs or flies, it didn't matter. I loved it all. After a stint in the Army, I rode rodeo (until I came to my senses after a few surgeries and multiple casts), and then played the tournament bass fishing game (too expensive). I returned to Mt. Hood in 1991 and decided to try to catch steelhead with a fly rod instead of drift gear or spinners. I got an 8-weight rod and some purple wooly buggers and went at them with reckless abandon. And I haven't looked back. I worked for Walsh Construction during the week (a total of 28 years), but fished during my free time. After several 5 fish days on the Zig Zag, I knew I'd found my calling. After years of fishing for fun on my own, The Fly Fishing Shop in Welches gave me the opportunity to start guiding the Sandy River in 2003. Now that I've retired from my construction career, I'm guiding full time. 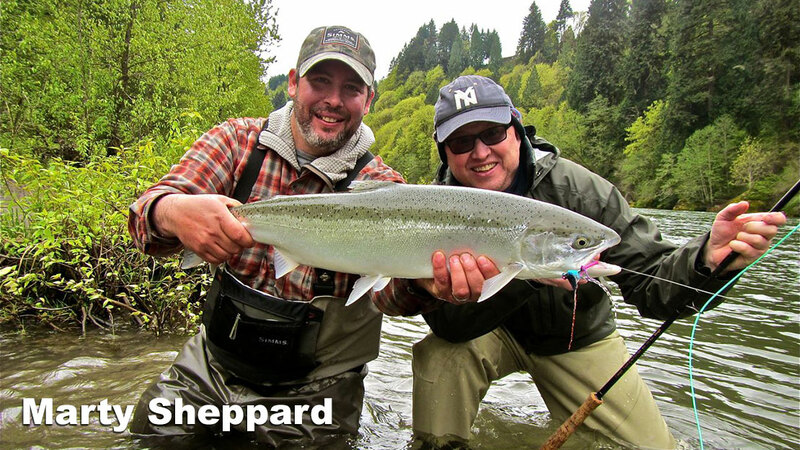 I hope I'll have the chance to share my enthusiasm for fly fishing and steelhead with you!" Lesson #3: Examining the "Big Five" Skagit casts, how and why they are used while fishing. This class will utilize drills so that these casts are ingrained to the point that they become natural while fishing. 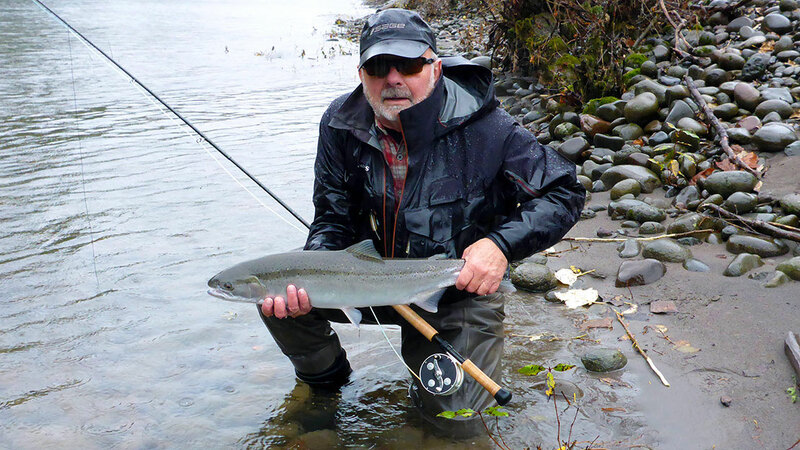 Al Buhr has been an avid steelhead fisherman since his youth and was introduced to Spey casting by the late Jim Green in 1982. 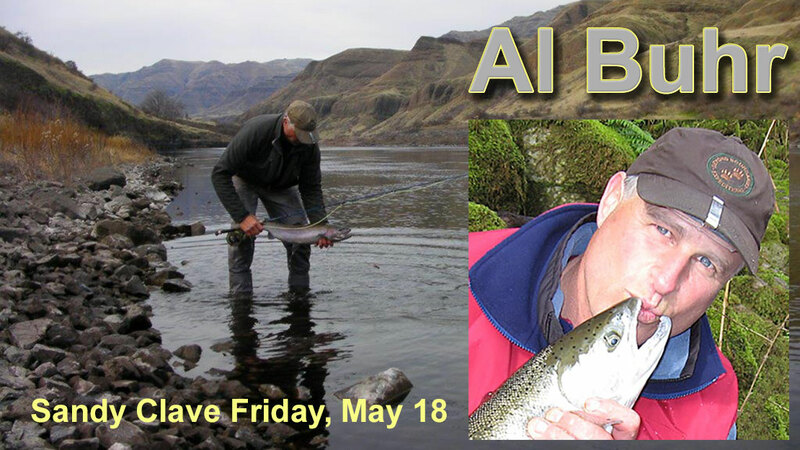 Al has since been on the leading edge of rod and line development for many years with Sage in developing two-handed rods and with Scientific Angler in designing several Spey fly lines. In 2004, Al chaired a committee of line and rod manufacturers that established a manufacturing line-weight designation standard ratified by the Association of Fishing Tackle Manufacturers of America. Al is also a member of the Federation of Fly Fishers' Casting Board of Governors' and is chairman of the Two-Handed Casting Instructor program. He is a FFF-certified Master Casting Instructor and Two-Handed Casting Instructor. Al has given workshops on fly casting and steelhead fly fishing throughout the United States and at many Federation of Fly Fishers' Conclaves. Al wanted to put on a presentation on Saturday, but relented when I related that he is the best instructor to explain the relationships between rods and lines in the presentation below. Lesson #5: How fly rod actions and fly line tapers affect your casting. Born and raised in Oregon, Marty grew up on the banks of the Sandy River. With his dad as tutor and angling mentor, Marty landed his first steelhead at the age of five. During the 70s his dad continued to hone and shape Marty’s future by taking him fishing nearly every day, instilling in him the instincts and techniques for pursuing steelhead. Much of his fly-fishing inspiration came from devouring books, especially those written by such notable and insightful naturalists as Roderick Haig-Brown and Bill McMillan. While still a young strapling in the 1990s, Steve Kruse took Marty underwing and taught him the art of Spey casting. Mark Bachmann inspired his winter steelhead addiction. Perhaps it should come as no surprise that all these elements now manifest themselves as Marty’s unbounded enthusiasm for guiding — backed up by over a decade of professional experience in the field — and an almost missionary zeal for teaching others and sharing in the pure joy of rivers. The Pacific Northwest is a hotbed of Spey casting innovation. George has been researching these developments and will help us put the "Northwest Style" into perspective. George Cook is the guy in the Sage "Tight Loops" poster of the 1990's. He taught the Sage Fly Fishing Schools in the 1980's and has great casting and communication skills. He is a manufacturers' representative for Sage, Redington, RIO, Solitude and Tibor. 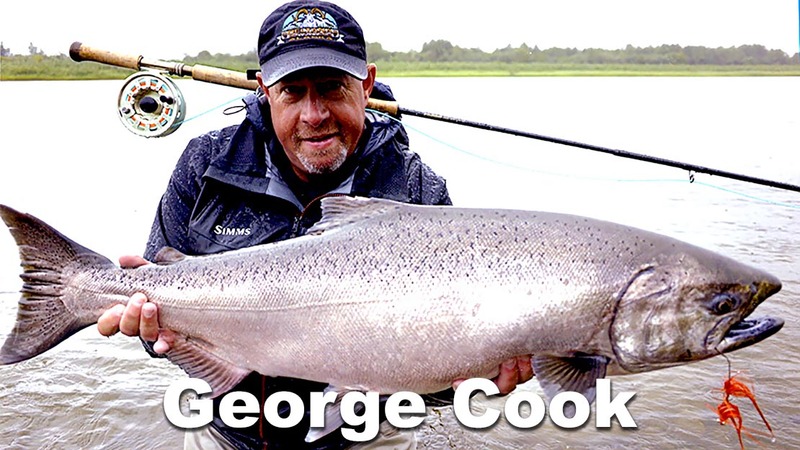 George reps Sage and RIO, which is a potent combination when it comes to understanding Spey fishing for steelhead, Atlantic salmon, Pacific salmon, and all the sea run fish of southern South America. Each year George travels the whole length of the Western Hemisphere (from northern Alaska to Tierra del Fuego) in search of giant anadromous fish. George is always a big draw at the Sandy River Spey Clave. Get to the beach early to get a good seat for his presentation. He is pictured above with a fine fly-caught Alaskan king salmon. Simon Gawesworth is head fly line designer at Rio and one of the most sought after Spey casting instructors in the world. Simon's father taught him to fish at the age of 6. Now 45, he has been teaching fly casting professionally since he was 16. He has both cast and fished for England in British, European and World Championships and was elected Captain of the England team for the 2003 world Fly Fishing Championships. Simon is A.P.G.A.I and S.T.A.N.IC. certified in the UK and C.I., Master and T.H.C.I. certified in the U.S. He also sits on the F.F.F. board of Governors and T.H.S.I committee. Simon's books: Spey Casting & Single-Handed Spey Casting, are regarded as the authoritative works on the subject. 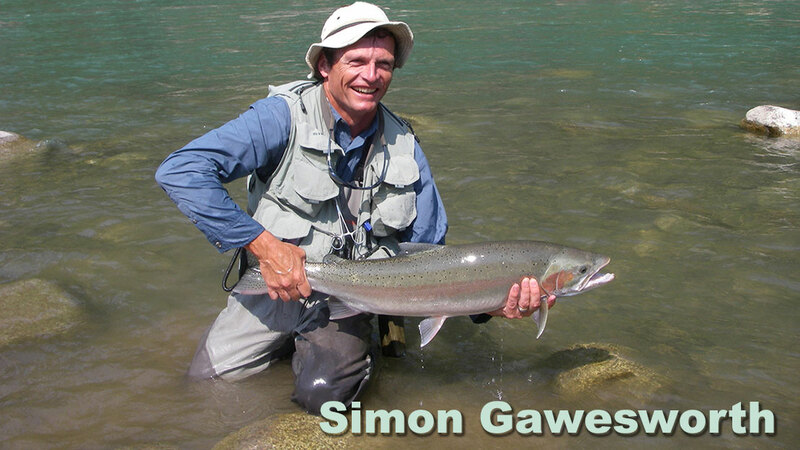 The prestigious Summer Steelhead PhD School hosted by The Fly Fishing Shop in Welches, Oregon was designed around Simon Gawesworth. Now in its sixth year, it is sold out and has a waiting list.